Sounds about right. A few 4*s in there. Could be worse. 5 of em. Not to bad. Will be a monster weekend for this year and the next couple of years recruiting. How many of those 2020 OT's after coaches evaluation will be recruited as Guards? The reason I ask it seems like most of the HS O 's end up playing Guard in college.. I was expecting a big recruiting weekend but that's quite a list! Hope they all have a great weekend. Usually when sites evaluates guys as OTs most of them are evalued that way by staffs too. Can this be the 5 Star corner Auburn finally lands? Did I just jinx us by posting that ?? Thanks! I thought I had read last month he was committed. I must be getting old and senile!!! Thanks again for doing what you do. It means a lot, to a good many of us (junkies). You are dead on right! Ellitor tells it like it is and does not sugar coat anything. Lot of respect of Ellitor! Heck of a list. Let's show them some great Auburn Football and what it feels like to be Family. Yes. He didn't bother to check if some were rated by individual sites the composite hasn't caught yet. I know there are a few 3*s he has as unranked. what is your take on the game tomorrow? I feel good about our chances and feel that we will be ready. Me thinks a certain DL committed elsewhere shows up on The Plains tomorrow. We'll see. If you are referring to 2020 4* DT committed to Bama Jayson Jones, he's on Wolk's list & it's free. If you are referring to Ladarrius Cox, I haven't heard much on him late & reports are mixed on whether he's a take or not. I am officially in town for a visit from PCB, FL! 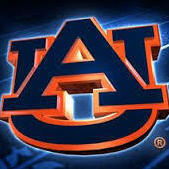 War Eagle let’s go! No not Jones. Another Bama commit, 2019 kid. Just a hunch he shows up, could be dead wrong. BTW your link is bad. I hope so, but you know little nikki sabs is not going to let a 5* db in the state go somewhere else without a fight, since the secondary is his bread and butter. BTW﻿ your﻿ link is ﻿bad﻿﻿. what﻿ is your take on the game tomorrow? I feel good about our ch﻿ances and feel that we will be ready. Well Doc. I have a different outlook on this game than most. I think it’s going to be a defensive slobber knocker. Around 13-6. I’m not sure either OL as constructed will be able to do anything with the other team’s DL. As @bigbird said various times through the young season and over the summer, I think this is one of those games Auburn has to try to play to its personal strengths which is quarterback. And work outside in by passing the ball to make the run game easier to produce. My worry on that though is LSU’s corners may shut us down and not allow our wide receivers to get separation. They have been able to the past few years when they wanted. They definitely did last year during the come back even though we didn’t throw as much as we should. I hope JB is willing to make adjustments on the IL early if needed. We all knew Kim was probably going to be the least productive OL we have this season while he is starting. What’s been frustrating and a surprise is Horton and Driscoll have been the other two worst producing starting 0Ls so far this season. Specifically Hope that one of Horton or Driscoll come around. That way if the other doesn’t then Troxell‘s mean streak can be inserted into the lineup as he seems to be making progress every week. Also got to be ready to put Brahms in if Kim is being manhandled. I think with the right combination the OL can be solid. But I don’t think we have that combination yet. I hope we find it this game. If we do or if we open lanes because of the passing game I think we can come close Or exceed the 147 yard output we had rushing against Washington. I feel the same way. Nice work. I think if the offense can keep LSU DL running east and west(jet sweeps, rb flares, all screens) then the OL can double team the point of attack on inside runs. Use the same influence blocking scheme for play action pass, and connect on the deep balls. Use the Freshmen...decoys or lightn' in a bottle. Special teams kicking is Tops w some breaking in of the P.
I sure hope the o-line does a decent job at least with Putnam and Webb there.